Firing the opening salvo in a bloody budget battle, U.S. Secretary of Defense Chuck Hagel recommended drastic cuts of billions of dollars that would take American military forces to its lowest level since before World War II. The cuts in military spending, forces and weapons programs address the stark reality of growing budget pressures at home while pointing to the improbability that the United States will engage in a large ground war. “As we end our combat mission in Afghanistan, this will be the first budget to fully reflect the transition [the Defense Department] is making after 13 years of war,” Hagel said in the Pentagon briefing room. The reductions will come at a price, he said. “As a consequence of large budget cuts, our future force will assume additional risk in certain areas,” Hagel said, citing gaps in training and maintenance and a smaller force that would be stretched thin if major conflicts broke out in several places at once. The plan — which asks for $522 billion, more than China, Russia and the British defense budgets combined — is certain to face stiff opposition on Capitol Hill, where lawmakers will battle for every troop, weapons program and dollar. “Our analysis showed that this force would be capable of decisively defeating aggression in one major combat theater…while also defending the homeland and supporting air and naval forces engaged in another theater against an adversary,” he said of the pared-down Army. Special operations forces will grow from 66,000 to 69,700 to deal with counterterrorism and crisis response. "As a consequence of large budget cuts, our future force will assume additional risk in certain areas." ♦The entire fleet of A-10 “warthogs” would be eliminated and replaced by the F-35. The so-called tank-killer, designed in the 1970s to go after ground targets, is not nimble enough and too expensive to maintain because of its age, Hagel said. Cutting it would save $3.5 billion over five years. Sen. Kelly Ayotte, R-N.H., whose husband was an A-10 pilot, has already vowed to fight plans to ditch the fleet. ♦The U-2 spy plane, the stalwart of Cold War reconnaissance, would be retired in favor of recon drones. The U-2 would be replaced by the unmanned Global Hawk, which is considered to have greater range and endurance. “This decision was a close call,” Hagel said, but reduction in the Global Hawk’s operating costs made it a better bargain. ♦The Navy would buy two destroyers and two attack submarines a year, but 11 cruisers would be mothballed for modernization. ♦The Army would retire its Kiowas and Jet Ranger training helicopters. Meanwhile, the National Guard would trade the Army its weapons-laden Apaches for Black Hawks, which are seen as more suited for peacetime activities and disaster response. ♦The Air Force would slow the growth of its drone program, increasing to a force of 55 around-the-clock combat patrols of Reaper and Predator aircraft, instead of a planned 65. 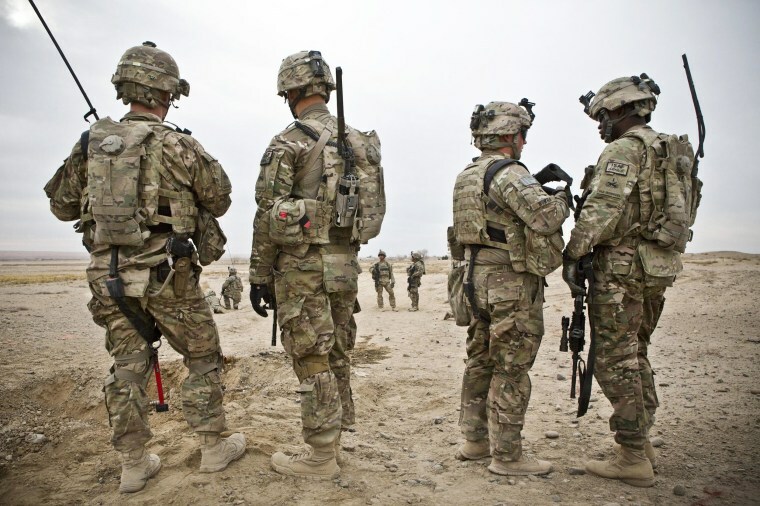 ♦One-percent raises would take effect, but there would be other benefit changes – making military members pay for some of their housing, cutting $1 billion in commissary subsidies and changing health-care benefits. “Although these recommendations do not cut anyone’s pay, I realize they will be controversial,” Hagel said. Blue Star Families expressed concern: "When too many of aspects of the pay and benefits structure change at the same time or there is too much uncertainty with the compensation system, we fear reaching a tipping point where our military families can no longer recommend service, recruiting becomes even more difficult, and our nation's security needs cannot be met." ♦The Pentagon will also push for base closings in 2017, though Hagel pointedly noted that Congress has rejected its last two requests on that front. His proposal came with a series of warnings to Congress that if sequestration-level cuts are reimposed in 2016, he will have to start chopping even deeper. That scenario would mean retiring the George Washington aircraft carrier, mothballing six additional cruisers, slowing the purchase of destroyers, eliminating the KC-10 tanker fleet, cutting flying hours – and slashing the Army’s troop level to 420,000. That much of a plunge would affect the military's capability to deploy into combat, said Gen. Martin Dempsey, chairman of the Joint Chiefs of Staff. "I'm telling you — 420 is too low," he said emphatically. To avoid the worst-case scenario "will require Congress to partner with the Department of Defense in making politically difficult choices,” Hagel said. NBC News' Kara Kearns contributed to this report.